Our Fumed Silica is known for its best anti-caking property and it is widely used as a thickening agent. We are a reliable Supplier of Fumed Silica in Mumbai, Maharashtra. Our silica is processed using the latest technology under the supervision of experienced professionals. We make available Fumed Silica in different quantities to meet the diverse demands of buyers. 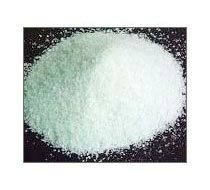 It is widely used in making printing inks and paints. We provide Fumed Silica at the most reasonable prices.